Normally I’m claustrophobic, but I felt serene. The three of us sat in silence for I don’t know how long. Eventually, Bwook the walrus commanded Wolwolwol the man to do tricks, like roll over, beg, and sing. 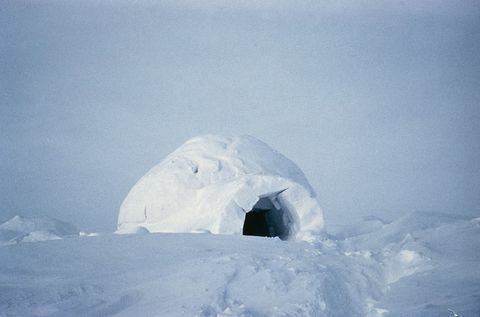 I applauded which scared them and I was pushed out of the igloo. The blizzard was even more intense and I had difficulty finding my time-machine. Eventually I froze in place and figured this was it. The amazing thing is, I was discovered by an archeological expedition in 1927. They dug up and thawed out me and my time-machine. I thanked them, got in my time-machine and came back home. I took a long hot bath. Then I got out my 21 DVD box set of Brady Bunch: The Complete Series with Shag Carpet Cover, and started with the first disc. 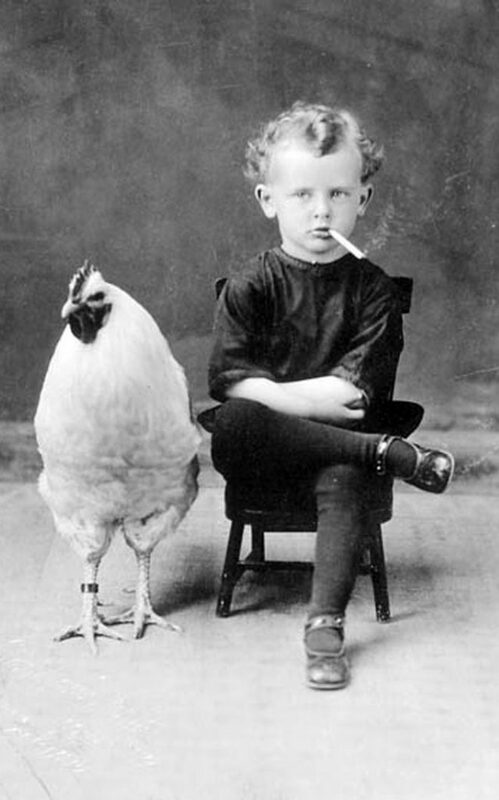 When I was a kid, I had a pet chicken named Howser Mack. I went everywhere with Howser Mack. That picture is from my second grade school photo day. The photographer, Mr. Blethan, said that I couldn’t have Howser Mack in the photo. I threw a fit and he let my pet be in the picture. I smoked a lot back then. At that time kids were required to smoke cigarettes. Physicians said that the constant deep inhalation of smoke would help children’s lungs expand and be healthy. Howser Mack didn’t live very long. She coughed a lot and one day keeled over. My mother plucked Howser, cut her up, and cooked us a platter of fried chicken. It didn’t bother me because I really liked fried chicken. One of my best friends is a pint of cherry vanilla ice cream. I don’t eat it but I take it out of the fridge a couple of times a day and talk with it. I hold the pint and share everything that’s on my mind. I feel like the pint of cherry vanilla ice cream listens to me. It hears me. I tell the pint things I’ve never told anyone. There have been times where I’ve felt really close to the pint of cherry vanilla confection and wanted to take off its lid and eat a spoonful. But I didn’t because I worried I wouldn’t be able to stop and I’d finish it off and have no one to talk with. I did that once with a jar of Goober Grape PB&J Stripes. 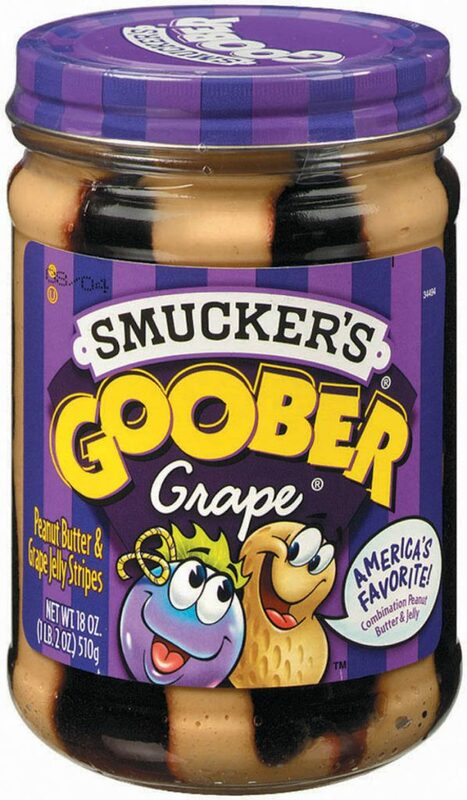 It was a combination of peanut butter and grape jam in a jar. I talked with it more often than I do with the ice cream because it didn’t need to be refrigerated or frozen. At night I would hold it next to my heart and whisper my secrets as I fell asleep. Well, one day I was sharing something sad and I felt like the sweet and salty treat said, “Just take a bit of me and everything’s going to be better.” So I got out a spoon, took off the lid, and I did. I felt better. I like feeling better. So I ate another bite. And another. Until it was all gone. And then my stomach hurt and I had no one to share that with. I work for the Giant. The Giant lives above the clouds. I have to get up extra early every morning so I can climb the two-and-a-half miles of ladder to go and work at the Giant’s house. The Giant gets upset that I’m out of breath and sweaty and need to rest when I arrive. I suggest that the Giant hire someone else. The Giant complains that he just might do that. But he hasn’t so far. I like to eat mouse cheese. It’s cheese made from the milk of mice. 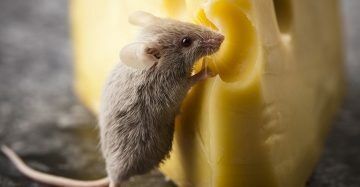 I buy the cheese directly from the mice. I go to the mouse hole at the base of my living room wall, knock three times, and put ten dollars in the hole. 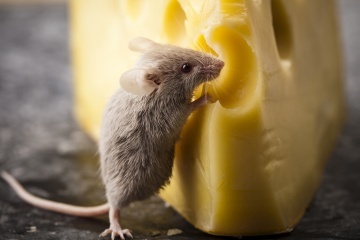 I wait usually a minute and then a mouse pushes out a fairly large piece of cheese. The cheese is incredibly sweet and filling. Plus it’s the only cheese I can eat that doesn’t give me phlegm. Sometimes when I look into my right palm I’ll see a vision of downtown Aneb-Hetch, Egypt, around the year 3300 BC. People are selling their wares on the streets amidst heavy foot traffic. A horse and chariot passes by transporting a local official. Once I saw Queen Hetep-heres pass by in a carrying chair, supported by 12 strong men. And then there was that time I noticed a person looking up towards me, shouting and pointing. Others looked and pointed. I scowled, creating a general panic. That was a good day. I sleep every night in a giant cupcake. It’s chocolate raspberry with sprinkles. I burrow a hole in the side, and lay down with a blanket. It’s cozy and I fall asleep within seconds. 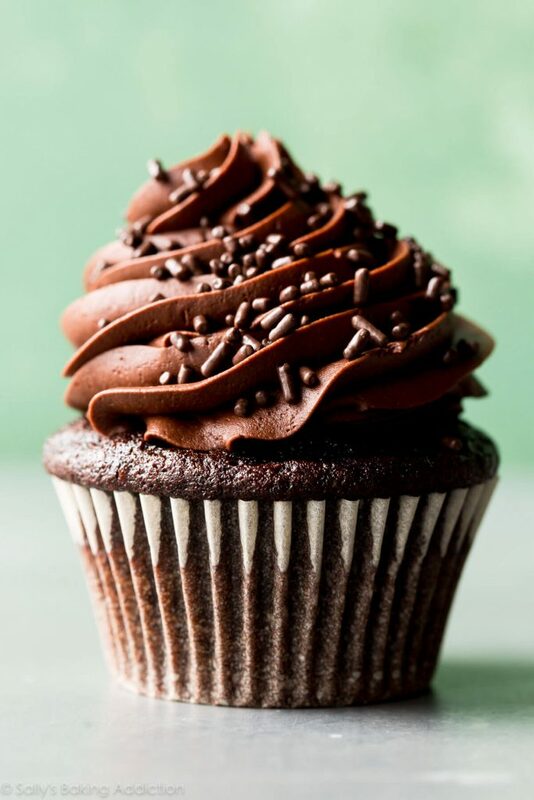 When I wake up, the giant cupcake is always gone and my face is covered with crumbs. I guess what bothers me is that I never get to taste the bouffant confection.